I was honestly skeptical from the moment the PR rep for Hacienda Tres Rios reached out earlier this year and invited us to visit the all-inclusive resort and spa in Mexico’s Riviera Maya. For one thing, “all-inclusive” and “eco-friendly” tend to go together about as well as peanut butter and pickled herring. As responsible travelers with a professional reputation to uphold, we’re incredibly conscious of corporate attempts at greenwashing in pursuit of the almighty ecotourism dollar. For another, we found complaints against their parent company, Sunset World Resorts, from disgruntled condo owners at a different property. Apparently an internal rift in the family-owned business a few years ago resulted in an online smear campaign, which is now being resolved. So you could definitely say that my spidey sense was tingling as we did our due diligence in researching Hacienda Tres Rios. But the more we learned about the resort’s sustainability initiatives, including an off-the-grid organic farm on which they grew many of the fruits and vegetables served in their various restaurants, the more intrigued we became. Could there really be such a thing as a truly sustainable all-inclusive? Could a massive tourism development actually benefit the local community AND offset its carbon footprint through energy-saving initiatives? We were determined to find out for ourselves. And so it was that we headed back to the Riviera Maya for the fourth time in eight years to see if the Playa del Carmen resort was the real deal, or just a money-grabbing pretender. It seems hard to believe for anyone familiar with the development boom in the Riviera Maya today, but the entire area around Cancun remained pristine until 1970. At that point, the Mexican government and a few prominent local families (including the owners of Sunset World) began to recognize the incredible tourism potential of this ancient stretch of Mayan jungle. 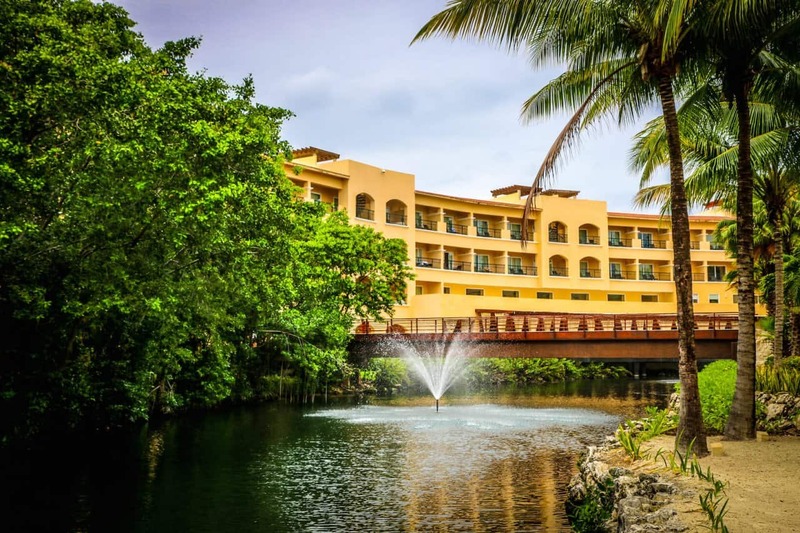 Sunset opened its first hotel in Cancun in 1986, but it wasn’t until 2003 that they began planning an eco-luxury resort on the site of their popular Tres Rios Nature Park. It was named for its location, on 326 acres of tropical rainforests in which three rivers (tres rios) meet the Caribbean Sea. It’s the only place on Mexico’s Yucatan Peninsula where you’ll find three distinct ecosystems– jungle, mangrove forest, and coastal dunes– in such close proximity. The upside of this is a fertile array of flora and fauna. The downside was that it made the resort’s strategic planning stages much more complicated in terms of ensuring the project’s long-term sustainability. The process started with a three-year environmental impact assessment, which focused on preserving the bond between the area’s interconnected ecosystems (including seagrasses and coral reef offshore). According to Gabriel Santoyo, the Director of Sustainable Development for Hacienda Tres Rios, avoiding disruption of the water flow during construction was vital. To that end, builders elevated all of the roads so that water could flow beneath them, and used more than 600 pillars at different depths in order to elevate all of the resort’s buildings as well. Santoyo took a lead role in replanting the mangrove forest (which includes four different species) after a hurricane hit the area in 2005. As a result of these initiatives, the resort (which opened in 2008) curves around a natural bend in the river, with mangroves just outside many of the guest room balconies. 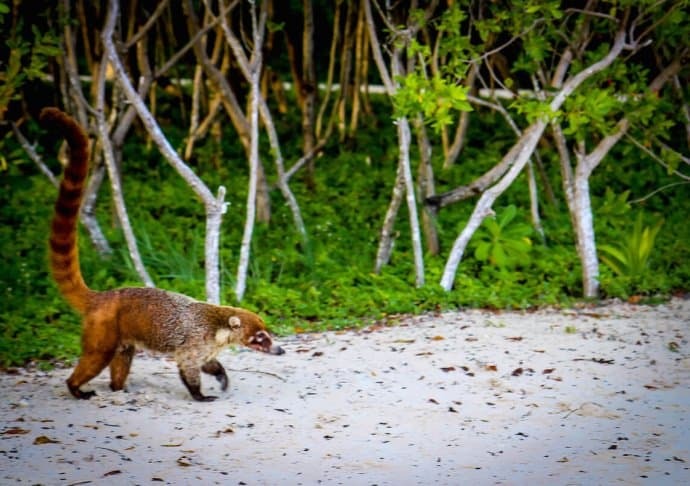 The nature reserve (of which only 3% is occupied by the resort) is home to 120 species of plants and 19 species of animals (including agoutis, coatimundis, anteaters, spider monkeys, white-tailed deer, herons, and more). The resort’s biggest sustainability initiative is its 2,500-acre organic farm, known as Ethos, which is located about 36 miles from Cancun. According to project director Diana Hernandez, the farm combines ancient Mayan agricultural techniques with modern technology. The process starts with a poceta (or “pothole”) drilled into the limestone rock, which is then filled with better soil, fertilizer (chicken poop), and seeds. Water is provided by an underground aquifer, which is pumped using solar power. The entire farm uses renewable energy, including solar panels, Segways for transportation, bio-digesters to capture methane gas, and composting using microbial biology. The farm manages to supply about 80% of the hotel’s total food needs, growing papaya, lime, melon, guava, tomato, eggplant, cucumber, zucchini, and numerous different kinds of squash and peppers. 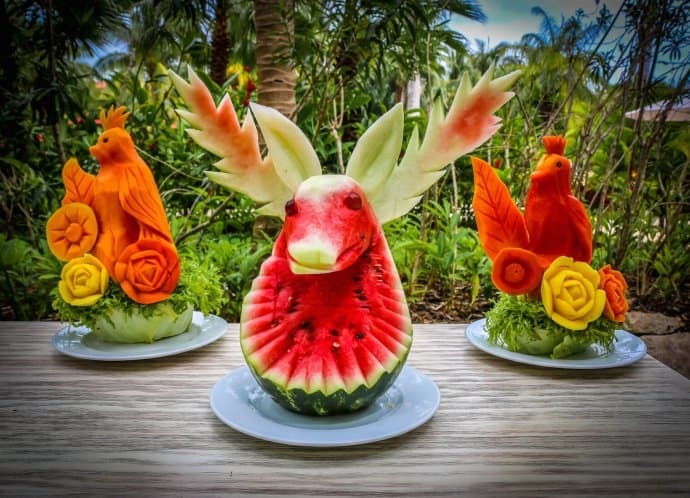 They raise chickens for the eggs and bees for honey, as well as growing 14 kinds of tropical flowers that are used in the resort’s decoration. There are 15 different food crops grown on 14 hectares of land, with plans for expansion of size and crop diversity for the future. The project currently employs around 45 local people, with plans to hire more for the expansion. Hernandez’s goal is for Ethos to have zero carbon emissions by 2020. All of the water used at Hacienda Tres Rios comes from two reverse osmosis desalination plants, and rainwater catchment systems line the roof of every building on the property. All grey water is used for the gardens and plant nursery, where they grow many of the trees and shrubs used in landscaping the resort. There are 504 solar panels on the roof, which are used to to heat the hotel’s water. They also use a geothermal system to make their air conditioning 30% more energy efficient. The AC shuts off whenever the balcony door is opened, and a motion sensor automatically shuts off AC and lights when guests leave. Additionally, all of the cleaning products used on the property are certified as eco-friendly and biodegradable. All of the toiletries used in guest rooms are made locally from the honey at Ethos farm. And after suggestions our Green Travel Media team made during our visit, Sunset World has since eliminated the use of plastic straws from all of their resorts. The resort’s commitment to sustainability extends to educational programs, both for staff, guests, and the general public alike. Every Hacienda Tres Rios staff member is given environmental education before going through the job training process. All guest tours (including tours of the planet nursery) all have a double purpose, combining fun with learning about the ecosystems of the Riviera Maya and the animals that inhabit it. The resort also offers frequent eco-friendly tips on its social media channels, sections about sustainability on its website, and a joint venture with local universities wherein students can come and learn from the HTR’s Sustainable Development staff. 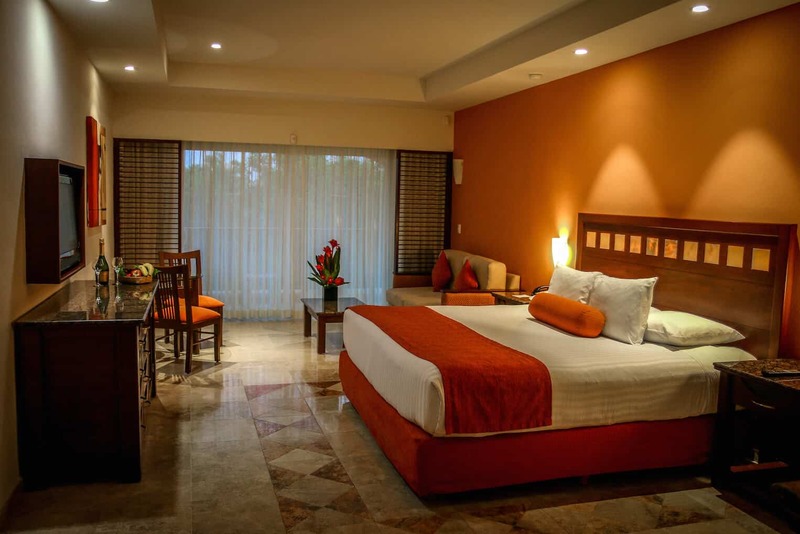 There are a total of 257 suites at Hacienda Tres Rios Resort, but the Mangrove Junior Suites are the only ones available to guests who aren’t members of Sunset World’s vacation club. At 645 square feet, the Mangrove Suites are roomy enough for 2 adults and up to 3 kids. Our 2nd floor room included a king size bed, full-size sleeper sofa, a small dining table and chairs, and a good-sized balcony. Our view was obscured by the mangroves, but they also provided a nice sense of privacy, which made the resort feel more intimate than you would expect given its size. The decor is best described as luxurious Spanish hacienda style, with marble floors and bathrooms, mahogany wood, 300 thread-count Egyptian cotton linens, and extremely comfortable mattresses and pillows. We were welcomed with a basket of fruit and champagne, which was a nice touch. There’s also 24- hour room service and a well-stocked mini bar, all included in the cost of the room. As with most all inclusive resorts, there’s plenty to do on the property as well. There are six different restaurants serving everything from Mexican and Italian to Japanese and an international buffet (more on these later). 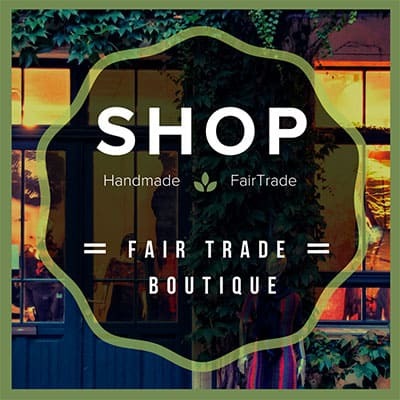 There’s also a spa and more than a half-dozen bars, as well as a French bakery and café. The resort offers two huge swimming pools, including one for adults only. Both areas offered tons of activities for children, teens, and adults alike, including aquaerobics, cooking and dancing lessons, water volleyball, and more. 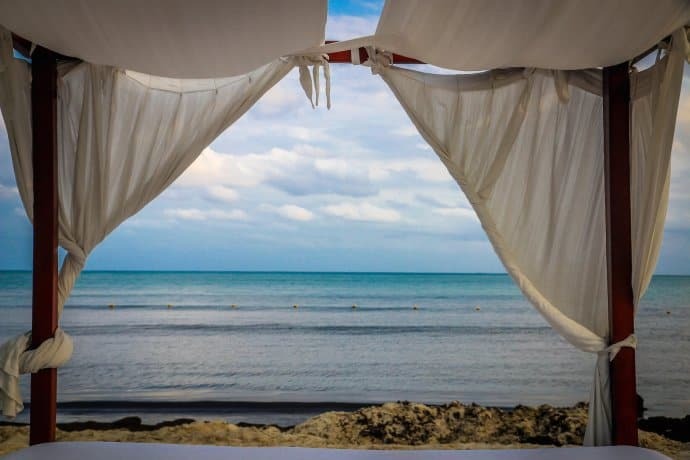 For peace and quiet, we’d often head to the beach, where king-sized cabana beds offered a feeling of intimacy and exceptional views of the brilliant blue waters. But our favorite activity was exploring the Tres Rios Nature Park, which is home to 10 cenotes (natural freshwater sinkholes), 120 species of plants, and 131 species of animals. Biking and kayaking tours are available several times a day. But we especially loved snorkeling the crystal clear waters of the Rio Selva, a natural lazy river that allows you to float from Cenote Aguila to the Caribbean Sea. 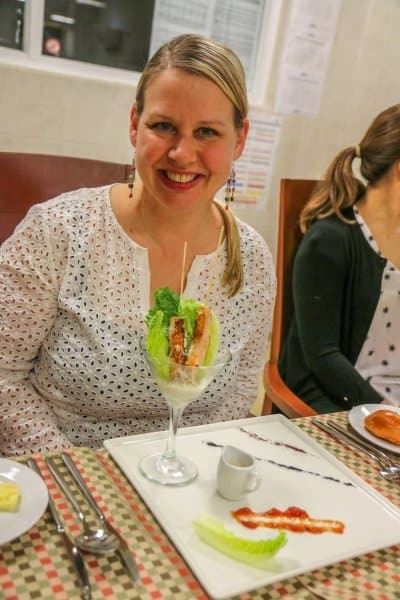 Most all-inclusives have a huge buffet, and Casa Las Islas serves international cuisine options for breakfast (daily), lunch (every day except Sunday), and dinner (except Wednesday and Sunday). Though the dress code was casual, the food was a cut above usual all-you-can-eat buffets. They had fresh fruits and veggies from Ethos, excellent ceviche and paella stations, and homemade bread with honeycombs from the farm. If you get a chance, we highly recommend arranging a 7-course tasting at the chef’s private tables in the kitchen. Ours included onion soup steaming with a crazy dry ice effect; huge jumbo shrimp served in a cocktail glass with a Caesar dressing; exquisitely prepared surf ‘n’ turf; and a delicious dessert that combined mousse, gelato, fresh berries, and a colorful caramelized sugar crisp. Hacienda Tres Rios’ flagship restaurant, El Alebrije was also our personal favorite, despite the fact that the a la carte menu is not part of the all-inclusive package. 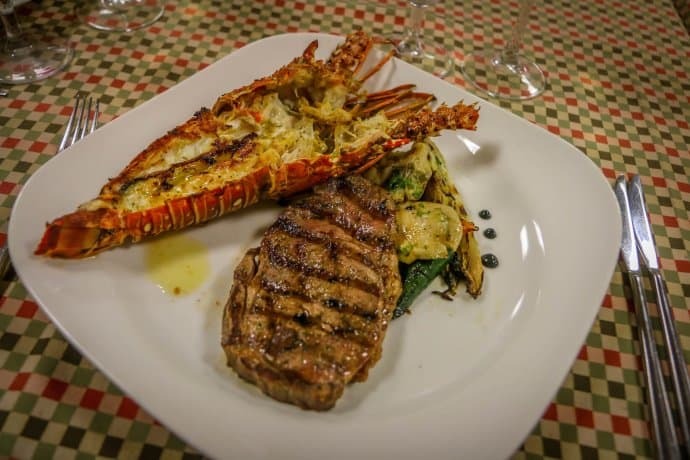 The traditional music and decor (which evoke Jalisco, Michoacán, and Puebla influences) are matched by authentic Mexican flavors, with seasonal specials and equal amounts of meat and seafood dishes. Inventive desserts include chipotle crème brûlée and rose petal ice cream, and their Agave Bar has tons of tequilas to choose from. Like El Alebrije, this Asian fusion restaurant requires a more formal dress code, but makes for a lovely date night. The menu includes an array of Chinese, Japanese, and Thai dishes, including sensational sushi and sashimi (our favorite foods). There’s also teppanyaki, teriyaki, tempura, noodles, and wraps. Every dish we tried there was delicious, but the service seemed much slower than the resort’s other restaurants. Our advice? Arrive early, or have a snack to tide you over. All-inclusive resorts may be designed to keep you from needing to leave the property, but it would be a shame to miss all of the awesome ecotourism attractions the Riviera Maya has to offer. The concierge at Hacienda Tres Rios can help you arrange tours to the following nearby attractions, and many more! Located in heart of the hotel zone, the Cancun Mayan Museum is a must-see for anyone interested in Mayan history. Inside you’ll find permanent exhibits on Mayan archaeology and culture, as well as one hall housing temporary exhibits. Outside you’ll find the San Miguelito archaeological site, which is home to 40 ancient Maya structures (including a 26-foot-tall pyramid). We saw numerous iguanas among the ruins during our visit. Keep in mind that the museum only takes pesos for admission. 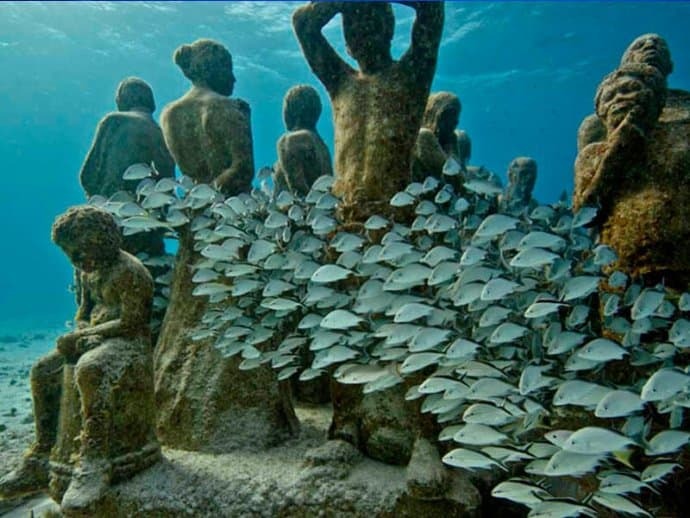 Created by sculptor Jason deCaires Taylor, the extraordinary Cancun Underwater Museum is a mixture of art exhibit and marine conservation initiative (designed to protect the Mesoamerican reef from mass tourism). Taylor’s lifelike statues of local people are made from marine-grade material and grafted with coral nubbins. There are nearly 500 statues in two sections: Salon Nizuc is perfect for snorkelers, while the Salon Manchone (near Isla Mujéres) section is for Scuba divers. This remarkable nature reserve, located just a few miles from the resort, is a complex system of caves carved out over 2.5 million years by an underground river. 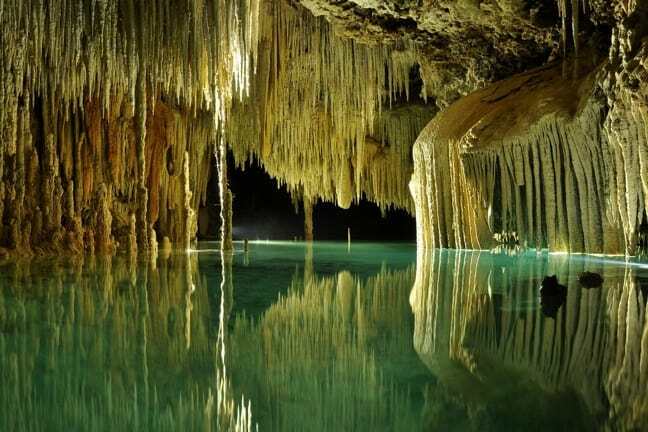 Rio Secreto is the longest partially flooded cave in the Riviera Maya, stretching 8 miles with 15 natural outlets. Since the entire area is semi-sunken, you can hike, float, or swim through most of it. If you’re afraid of the dark, be aware that a highlight of the tour includes floating in a pitch-black cave, savoring the sounds of the underground. Snorkeling this sensational underground river system is one of our favorite Latin American adventures. Stretching over 100 miles across the Riviera Maya, it was recently declared the longest such system in the world. Its cenotes (or sinkholes) were believed by ancient Mayans to be gateways to the afterlife, and it’s easy to see why: The stalactites and stalagmites are simply otherworldly. 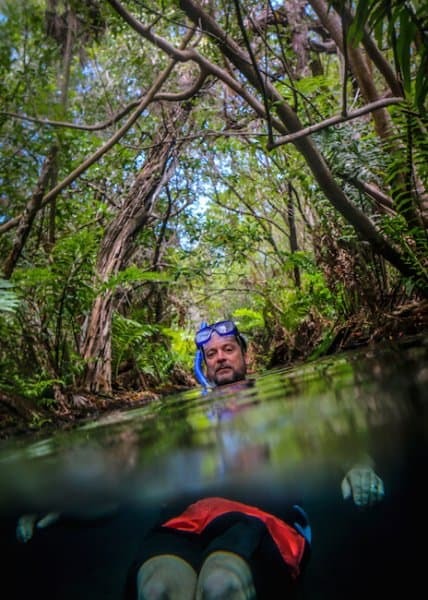 You’ll likely see tiny freshwater fish and colonies of bats, as well as hear stories of amazing archeological finds such as 30,000-year-old remains of mammoths, turtles and humans. Our trip to Mexico’s Riviera Maya was hosted in part by Hacienda Tres Rios Resort. But our opinions remain our own, and we will never compromise on the integrity of our obligation to our readers for any price.